We know plumbing can be a hassle and sometimes doing it on your own may not be enough. Are you trying to replace your water heater, or even doing some patchwork on your pipes? Sometimes saving that extra dollar may end up costing in the long run. Delta Plumbing, Heating & Cooling is here to help get it done the right way! When we do a job, we do it right the first time. Our goal has always been to have 100% customer satisfaction, and we mean it! From drain cleaning to water heater replacement, there is nothing we can’t handle. We fix and replace what you need, and our elite services have not changed over the years. We make sure you know what needs to be done and exactly how we can help you. 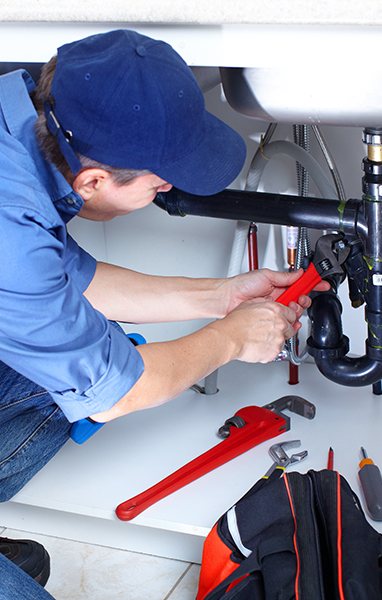 Your plumbing needs are what matters to us, and we put you first. As a family-owned and operated company, we make you feel like part of the family.